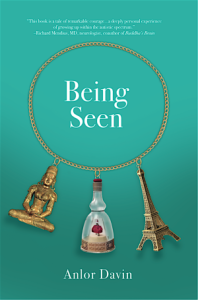 Author Anlor Davin offers poignant insights regarding her honest and revealing memoir Being Seen, A memoir about me: an autistic mother, a French immigrant and a Zen student. SAM: Writing a memoir is quite an accomplishment and involves a degree of bearing one’s soul. Why did you decide to write your story? ANLOR: When I was most ill, less than ten years ago, I felt like an unseen, unheard, buried and dying seed. At that time I developed –among other things- a condition called “pressured speech” which is defined as a “tendency to speak rapidly and frenziedly, as if motivated by an urgency not apparent to the listener”. I was indeed motivated by the urgent desire to explain what was going on with me, but it was so far out of the ordinary (for example: sensory problems that went through the roof at that time, unbearable physical pain in my neck and back) that nobody understood it. Two of my remaining few friends, both Zen practitioners like me, told me I ought to write down my story, and so I did. SAM: You describe your choice to write your book in English, even as you were born in France and fluent in French, and you go on to mention America is more accepting than France of autism. What are some of the ways America is more accepting? ANLOR: Let me say again that the main reason I wrote my book in English is that it has been for the past 30 years my everyday language, so it is what appears in my mind first, and especially as I am more familiar with the autism “jargon” in it. Also I thought English might be read by more people. Since my book was published last week in France (in French of course), I suddenly feel very supported by France. It seems a lot has been happening in France in the last ten years and they really want to understand autism better. I think that one way America might be more accepting is simply that Americans are forced to live with so many different cultures, one has no choice but to try to accept the other culture’s differences if one wants to live peacefully. It is really a “melting pot” that way. SAM: You mention you feel fortunate you did not receive a diagnosis as a child? Can you elaborate on what you mean by that, and do you think there would have been any benefits to a childhood diagnosis during that time in France? ANLOR: Not receiving a diagnosis as a child at that time meant that I did not end up in an institution, locked up and forced to take destructive so-called “calming” medicines. Instead I was given many opportunities to learn to live independently. I don’t believe this is still the case nowadays, a diagnosis does not automatically means one has to be in an institution and on the contrary it sometimes mean real help, and especially financially. Still, too often the autistic child is seen as the one with the problems. I like this question of “would there have been any benefits to a childhood diagnosis during that time in France”, it makes me think more about this: would some medicine have helped me? I don’t know, but I believe that being “locked away” would most likely have destroyed my mind. SAM: You bravely write of the times you contemplated suicide as a teenager, including recklessly biking into streets and swimming out in the cold water. What would you say were the primary circumstances and feelings/thoughts that led you to such measures? What would you tell someone who is contemplating suicide? It is difficult to pin in one sentence the large picture of how desperate I was, how so different I felt in general and how just a little incident sometimes had the power to undo me. I was at that time very depressed, constantly flattened by the big steamroller in my life (an image that I often had): why keep going under such pain? SAM: You attribute some of your friendships to excelling at the sport of tennis in your early teenage years. What attributes or behaviors about you are different now than then that enables you to have beneficial friendships, beyond excelling at a sport? ANLOR: All friendships have the potential to be “beneficial”, I do not become a friend with someone because I think they might be “useful” to me. My zen practice is what I see as the main difference: now, thanks to doing zazen (upright sitting meditation) I really know in my flesh and bones that the other person also suffers, even if in a very different way than me. The first thing taught by the Buddha is that life is suffering, so zen students are often reminded of this, everyone suffers. SAM: You tell of a tragedy, after you discovered the news of your father and were admitted for attempted suicide—when a hospital attendant sexually assaulted you. Was it difficult for you to recall these memories and put them in print? How, as a young person did you work through this tragic ordeal? ANLOR: Time had eased the pain about this, still it was indeed difficult to talk about it. However in the end, doing so was a relief. Time is such a healer. I think many such cases have been previously observed. Reflecting on that time and what helped me “work through” it, I realize that the fact it happened during a transition time (from living with my parents to an independent life) was a blessing for me, I just quickly found myself somewhere else and had to keep struggling for other reasons. Recently my book was published in France so my mom and others who knew me at the time read about this: their positive reactions are something I look forward to explore more in the future. SAM: You state lying makes you “inordinately uncomfortable.” I have found this to be a common trait with many that identify with being on the autism spectrum, to the point where I wonder if chronic liars, who have been diagnosed with autism, are actually correctly diagnosed as autistic? What are your thoughts? ANLOR: I have had exactly the same thought as you! Once again as a “result” of my zazen, I try hard not to judge, I don’t know what exactly is the “chronic liar” about; at times I feel like the more I sit (zazen) the less I know! I have never personally met with a “chronic liar who is diagnosed with autism”, so it is easy to not judge them. SAM: You mentioned that nothing else but taking care of your infant son existed for you. How would you say becoming a mother changed your goals and perspective on life? How did you emotionally process the concept and experience of being a mom? Did you ever still feel like a child yourself? By becoming a mother I had no other choice but to grow. I was now responsible for another being so I had to make sure he (my son) was safe. I could no longer afford the time to reflect on myself. I never thought of myself as a child then, parenting has a way to put you (me in that case) in touch with realities. I just never could indulge in thinking, I just “did” what was necessary, and that is how I learned. SAM: You state that you were often saddened by some of your students’ stories and that you allowed the stories to seep deeply inside of you. You also mentioned in your childhood it was difficult for you to recognize how others were feeling. What would you say to someone who claims autistics lack empathy? And when/how did you develop the capacity to understand others’ emotional states? ANLOR: It is true that autistic people have a difficult time seeing some aspects of other people’s mind, but the claim that autistics lack empathy is false and hurtful. I think it is often that the autistic person can be so overwhelmed that she/he says something inappropriate. For example, despite the noticeable improvement in my social skills since I started to deeply practice zen meditation 17 years ago, just 3 days ago I made yet another social “gaffe” when I found myself at a memorial for a person I hardly knew and launched into an explanation of my ill health between approx. 2002 and 2010, instead of simply saying condolences and thank you for the picnic held after the memorial service. Hence, to the person I said this to (who was the deceased’s brother), I am sure I seemed to have a lack of empathy. SAM: You explain the challenges of finding permanent housing and how this is a major challenge for many autistic people. How would you summarize the main challenges you faced with housing? ANLOR: Until I was formally diagnosed 7 years ago and started to receive a small monthly disability check, the struggle to survive was what my life was about. I just never had enough money or the strength to work a lot, and the fact I was not diagnosed meant that my many landlords often misunderstood me. I was always a quiet person who did not do drugs, nor drank alcohol or smoked, but I did not smile appropriately, was often too blunt in conversations, or simply said the wrong thing at the wrong time. SAM: You wrote: “My experience with jobs was that I became so uncomfortable that, after only a few month if I was not asked to leave beforehand, I often terminated myself. A terrible uneasiness eventually took over, despite that I always did my best to do exactly what was required. For example I was always on time and paid attention to clothes. I did not yet understand that all public and social contact made me uneasy, that I needed an inordinate amount of quiet.” Do you have any advice or tips for autistics about the workplace and coping strategies? ANLOR: For all of us out here, not just for autistic people, one thing is to be aware that material possessions are much less important than one’s own health; it is permissible to not have plenty of strength, or not be able to do 9-5 jobs, or full-time, etc. But advice is never the same for all people; maybe some autistic people out there find a job in a kind of niche, or have a flexible and understanding work environment where they can work full time. Maybe the job includes breaks and times where one can retreat and be alone; there are so many different possibilities out there, I am not too keen on giving advice for that reason. SAM: You share some very personal choices, including separating from your young son for periods of time—did you ever worry about how others might interpret your choices when writing the book? Was it difficult for you to share? ANLOR: Separating from my young son when he was still young was NOT a choice. Of course when I wrote the book I knew that not every body would like or agree with me, and that thought scared me. But then I realized that this is simply human, and I also am a human being, so be it. One understanding that came to me with meditation practice, beyond just intellectual knowledge, is that all of us really have reasons in our life experience for wherever we are now. SAM: Your book opens up the doors to the struggles and challenges of some individuals with autism—such as finding a doctor who understands, not having health insurance, struggling to find a stable home environment, struggling financially, and more. What would you say to individuals who are struggling right now? Things change -that’s one thing I am pretty sure of! There is hope, your life will definitely change someday. Can you start a meditation practice? Can you find someone who will listen to you? I mean in real life, not just online. Can you get out and meet people? SAM: I also have adrenal insufficiency and orthostatic hypotension. My conditions are caused by a connective tissue disorder. How do you manage your health presently? I’d love to hear more about this connective tissue disorder, it sounds really interesting. I know it may not seem much like “health management”, but what I find “works” for me is my daily meditation practice. I sit zazen (upright meditation) every day for about 2 hours, usually when I first get up in the morning and in two or more sessions (I emphasize that this is much more upright sitting than a beginner need attempt). In between I do 20 minutes of exercise, including some yoga stretches. I am vegetarian, do not practice any “substance abuse” and drink at least half a gallon of water (hot water at times) a day. Before going to bed I make sure I unwind and also I take 50 mg (a low dose) of the prescribed medicine Seroquel at bed time. SAM: For autistics searching for self-acceptance and a sense of empowerment, what would you say you have learned from your journey that might assist or offer insight? 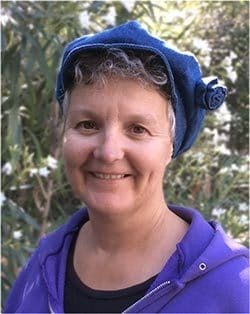 ANLOR: I am very fortunate to have stumbled upon zen practice and I think it is the best “shortcut” (a long difficult one!). It definitely won’t work for people who think they are too special to work hard, but the effort can be life-transforming. SAM: Thank you for your time and dedication in sharing your story. And thank you much for taking the time to elaborate on your experiences and personal journey. I am certain many can relate and will find solace in your words. 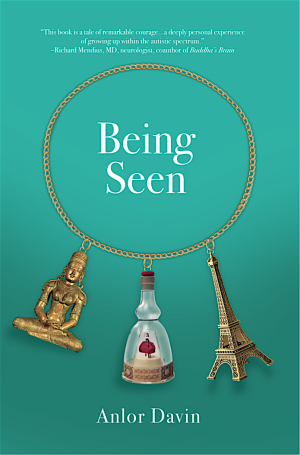 Where can we find your book: Being Seen, A memoir about me: an autistic mother, a French immigrant and a Zen student. ANLOR: My website, anlordavin.com or Amazon and others like that.